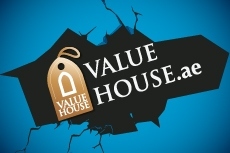 Abu Dhabi, 21 May, 2014 – Finance House P.J.S.C (FH) announced that it has officially launched its Value House (VH) website (www.VALUEHOUSE.ae), an initiative offering all FH credit card holders special benefits, offers, and deals from a selected array of vendors and merchants. VH website is designed to provide FH credit card holders with a selection of discounted promotions covering the spectrum of Consumer Goods, Leisure and Entertainment, Dining, Hotels, Children’s and Family Specials, Car Rentals and others. “The website brings unmatched talk-of-the-town deals that reward our loyal customers for their unwavering trust and confidence in the quality of our products,” added Khayata. “Our customers are our main priority and this new addition reflects our commitment to providing them with innovative and value-added product offerings. We will be working relentlessly to add equally interesting initiatives in the future,” concluded Khayata.